remained uncontested for at least two centuries after the death of Christ. 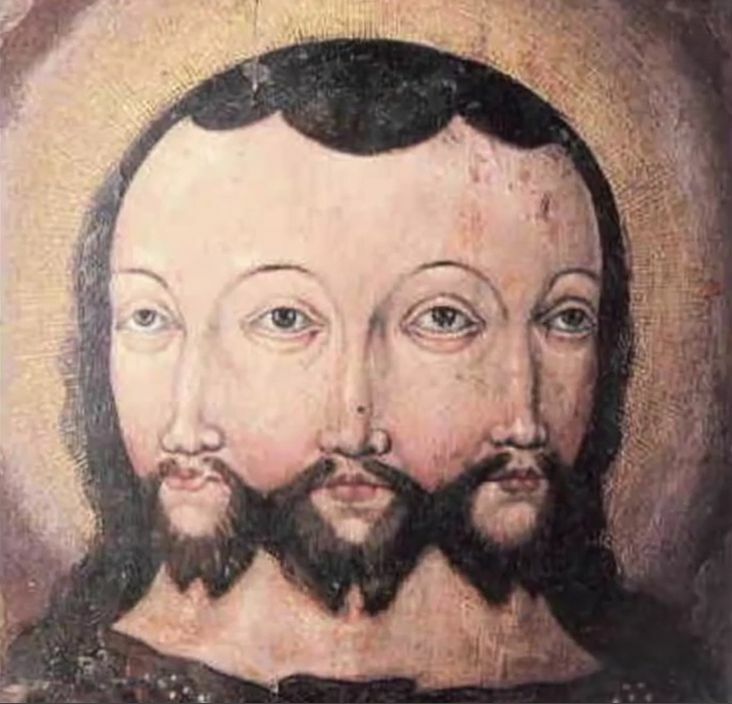 But by the fourth century AD an unbegotten independent second co-eternal Person of a Triune God emerged to take its place. The story of this transformation is a remarkable record of mystical and philosophical evolution. Here is the story of that change. 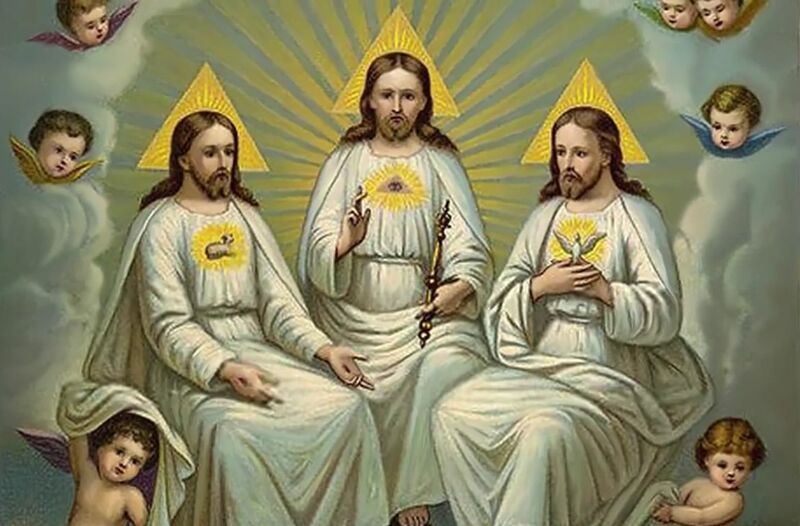 The “full deity” of Christ and the entirely separate person of the Holy Spirit, were the two final steps in cementing the Trinity doctrine into its current position of dominance in mainstream Christian theology, and the two critical features in this story. And yet, the apostolic belief in one true God and one Lord Jesus Christ (the Creator of all things) can be traced throughout history and is preserved in Scripture even today. 1. Our first assignment will be a review of the Scriptural basis for the apostolic belief in one God and His Son. And there is much in the word of God for us to consider. 2. Next we will explore the biblical evidence for the Father and Son in type and antitype. 3. Then we will follow the historical support for this “doctrine of Christ” in the early church writings. Let us then begin by examining what Scripture records as the identity of God and His Son. Traditional ideas may differ, but we will let the Bible speak for itself. Yes, there is abundant and clear scriptural evidence that God is the Father and Jesus is the Son of God the Father “in truth” 2John 1:3. It was easily understood on the basis of His true Sonship, begotten from the Father, inheriting the very same divine nature of God. The crux of the issue (then and now) hinges on the definition of divinity. And this, again, must be defined by the words of the Bible, the word of God. 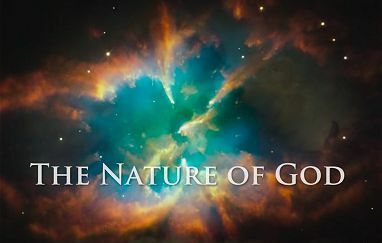 The Bible explains the nature of God in terms of His eternal existence and creative power. The realm of eternity is defined as that which exists before Earth’s creation. God is eternal because He is immortal—He cannot die. God is also distinguished by His immutability—God does not change. It is the divine character, as expressed in His law that does not change. Jesus Christ is “the same yesterday, today, and forever” (Heb 13:8) because His character never changes. “being found in fashion as a man” (Phil 2:8). The character of Christ is not immutable; but his form is. from the days of eternity” Micah 5:2 margin. before his works of old” Prov. 8:22, 24.
present, only resheet. YHWY cannani rasheet. Yahweh possessed-me beginning. “I have gotten a man,” cannah gotten or possessed. The Apostles accepted both the divinity of Christ and his eternal Sonship because he came forth from eternity. They did not question the truth of Christ’s equality with God the Father; but they did not make him equal to his Father. To do so would destroy the separate personalities and distinct identities of God and His Son. Jesus said to the Jews who objected to his healing on the Sabbath, “My Father works hitherto, and I work. Therefore the Jews sought the more to kill him, because he not only had broken the Sabbath, but said also that God was his Father, making himself equal with God.” John 5:17, 18. Of course a son has the very same nature as his father. That’s why Jesus said, I and my Father are one. John 10:30. 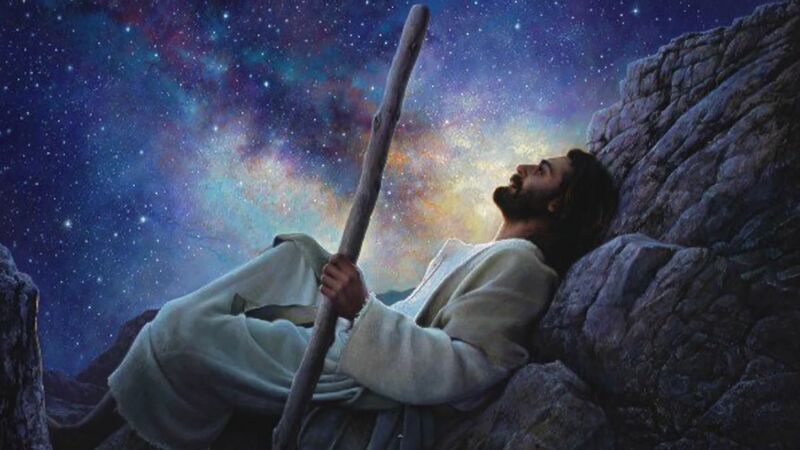 Jesus said “My Father is greater than I” (John 14:28). let him be as the younger” Luke 22:26. The eternity of the Son and the existence of the Holy Spirit is a fact of Scripture. A divine Son (Phil. 2:6; Col. 1:15; 2:9; John 5:23; John 14:9) who comes from (John 7:29; 8:42; 16:27, 28) an Eternal Father (1Tim 1:17) must inherently possess the same eternal immortality (John 5:26) and the same eternal Spirit (Heb 9:14) because His Father is Spirit (John 4:24) and “that which is born of the Spirit is Spirit” (John 3:6) . This is the teaching of scripture. Scripture speaks about other sons of God. John 3:18 But Jesus is the only begotten Son of God. 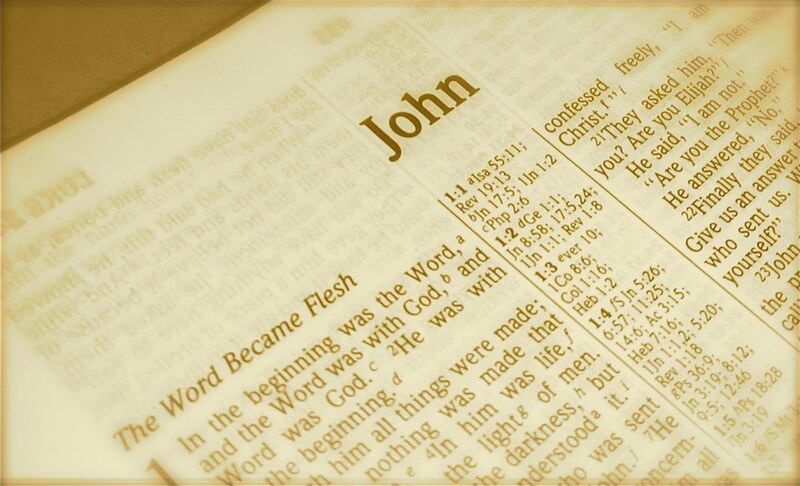 John 1:14 the only begotten of the Father. The book of Hebrews chapters one and two compare the Son of God before and after coming to this earth. Chapter one describes his inheritance as the Son and by whom God made the worlds. As Son he is the express image of his Father’s person, being so much better than the angels by inheritance. Chapter two we see Jesus, the Word made flesh, made lower than the angels for the suffering of death. But before this, he was begotten of the Father, something no angel at any time had experienced. Then the firstbegotten was brought into the world. In fact, the most frequent appearance of exerchomai in the Gospels is the casting out of demons, from which we get the word exorcism. Jesus spoke of this repeaatedly. John 8:42 the Son “proceeded forth” from his Father, he told the Pharisees. John 16:27 he “came out from God.” verse 28 he “came forth from the Father” he told the Disciples. John 17:8 “They surely believe that I came out from Thee,” he assured his Father. of a country, a city, or a house. Only two times is it used in connection with people. Describing evil spirits coming “out” of a person who had been “possessed.” And These four times in speaking of the Son coming out of the Father, who possessed His Son in the beginning. Prov 8:22-25 The LORD possessed me, the beginning of His way, before His work of old, I was set up from everlasting, from the beginning, or ever the world was…I was brought forth… before the mountains, before the hills was I brought forth. When? Before anything was created, from the days of eternity. Prov 30:4 Who has established the earth? The Creator of the earth has a Son. Gal 4:4 Then in the fullness of time God sent forth His Son. 1John 4:9 God sent His only begotten Son into the world. After reconciling us by his death, he now saves us by his life. Gal 4:6 God has sent forth the Spirit of His Son into our hearts. If we love him and keep his Word, his Father will love us and they will come and make their above with us. John 14:23.